Formula E Holdings Ltd. (FEH) – the official promoter of the new FIA Formula E Championship – has announced the purchase of 42 electric Formula cars from the newly formed company, Spark Racing Technology (SRT). The cars will be used in the Formula E Championship inaugural race in 2014. SRT, led by Mr Frédéric Vasseur, onMonday announced it had reached an agreement with McLaren Electronic Systems to design and construct the powertrain for the first Formula E car. Formula E has declared itself as an ‘open’ championship. It has been working to encourage other car designers and constructors to build a Formula E car. The FIA technical regulations, to be published soon for the Championship, will ultimately set the framework for making such submissions possible. The 2014 inaugural race will feature 10 urban races. FEH has already received interest from a large number of cities to host the ‘E-Prix’. Formula E Holdings will soon define the list of venues that will be proposed to the FIA for hosting races in the first season. Announcements in some of these cities will be made in the coming weeks. In placing an order of Spark Customer Cars, FEH plans to make 4 cars available to each of the 10 teams. In addition, one will be used as the official test car and a second one for the FIA crash tests. Should a team build and develop its own car, the remaining Spark Cars will be used for roadshows and other racing activities. Until now, the team led by Frédéric Vasseur had been working on the French designed Formulec car, the first electric Formula car to be built. FEH acquired the Formulec technology last august and integrated the team into the FEH structure, showing its commitment to cutting edge electronic technology. 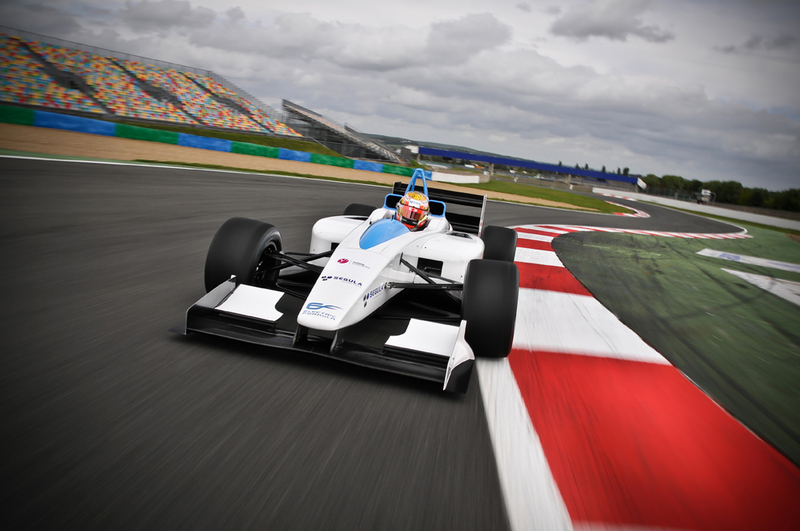 As the first electric Formula racing car using high performance lithium batteries, the experience with the Formulec prototype will serve as a basis for the new Spark cars and for other potential interested constructors. Vasseur worked with Eric Barbaroux (FEH Chief Operating Officer and co-founder of Formulec) and Pierre Gosselin (FEH CEO Special Advisor and co-founder of Formulec) in the team that developed the Formulec EF01 prototype electric racing car from 2008.